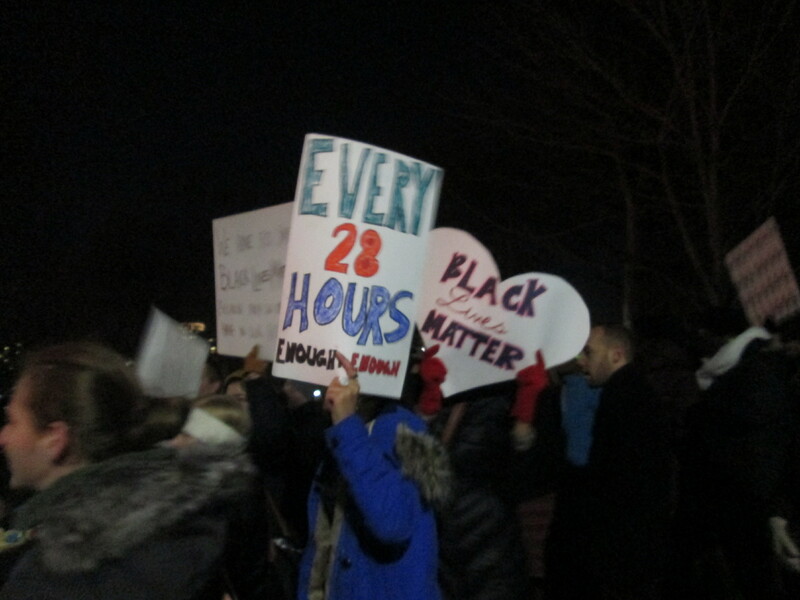 Thursday night’s protest on the Boston Common. –Can you breathe? Reflections on non-indictment, activism, and black life. –White America’s scary delusion: why its sense of black humanity is so skewed. -This is painfully true, and be forewarned that the painting at the end of the post might make you cry: The 10 stages of what happens when there’s injustice against black people. -Katherine Cross writes about why she was not surprised by the Eric Garner decision, as a trans woman of color who has seen her sisters regularly face brutality from the NYPD. –This country needs a truth and reconciliation process on violence against African Americans–right now. -Another incredibly fucked-up decision: charges were dropped against the police officer who shot 7-year old Aiyana Stanley-Jones while she slept in her own home. -In a rare example of someone (although not a cop) being held accountable for killing a black person, Renisha McBride’s killer was found guilty of murder. –Police “reforms” you should always oppose. 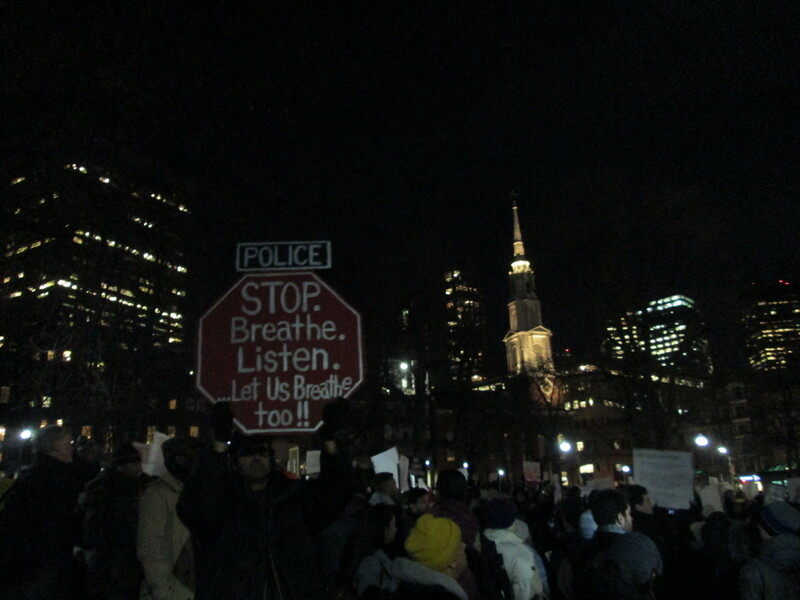 Likewise: Body cameras won’t stop police brutality, and Eric Garner is only one of several reasons why. -An important analysis of public space and power: After Ferguson, we have to ask: who owns the streets? This is the letter I submitted to their contact page. If you’re also bothered by their messaging, consider sending them a note as well. I am writing with regard to your messaging that your clothing is for “every body type,” “women of all shapes and sizes,” and “all women.” Contrary to these messages, I noticed that Fabletic’s clothes end at size XXL/18-20. I appreciate that this is a broader range of sizing than most athletic brands. However, it still comes nowhere near including all women. As a woman who usually wears a size 20 or 22, I could probably fit into the bottoms, but not the tops; and I know many women larger than myself who would love to buy affordable, fashionable athletic wear if it was available in their size. If you do decide that you genuinely want to make clothes for all women, I recommend following the example of eShakti, a manufacturer that sells clothing in sizes 0 through 36 and also offers custom sizing.